I know people have mixed feelings about the holiday, ranging from bitter to adoring. While it does seem trite to commercialize love with greeting cards and chocolate, I personally find it a fun day to celebrate the many people in my life that I love. Steve – Uh, if I didn’t put you first, that would be weird, right? You’re pretty much my favorite. Aaron and Alex – How scruffy, booger-y kids manage to tire me out AND melt my heart, I don’t even know. My parents and parents-in-law – Thanks for being great. No weak links among you. All my siblings – We have fun, and I wish we all lived together in one big hippie commune. Our church family, especially our fellow Council leaders – You rock my faith. In a good way. Chante – Thanks for being a good friend who laughs and cries with me, and always tells me the truth. The Weekly Playdate Moms – I’m certain that without you by my side, I would have given up the parenting gig long ago. Tracey – You’re an incredible supervisor and friend. Please come with me wherever I go. Our Corner Community – We share our house, stuff, and meals. You guys are also amazing babysitters to our children. Lauren – Speaking of babysitters, you are fantastic. I got a billion things done this week because of you! Speaking of love, I really love these salted brown butter krispie treats. 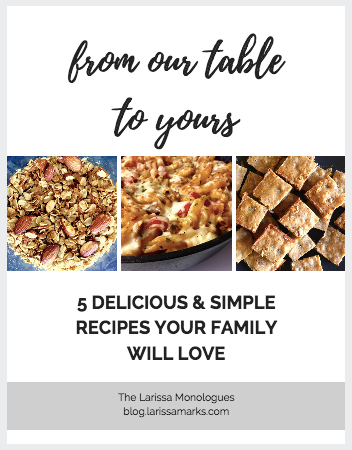 The recipe comes from Smitten Kitchen, and was shared with me by sister-in-law Seisha (my favorite culinary co-conspirator). Rice krispie treats are usually just okay for me. But oh boy, are these delicious. The extra nutty brown butter plus some coarse sea salt make these truly amazing. Go give someone you love a hug today! 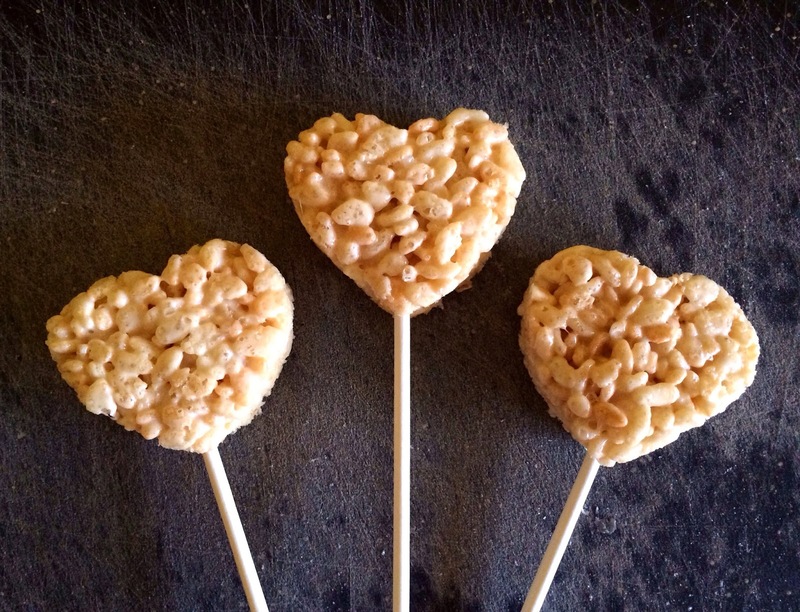 And if you really care about them, you might consider skipping the CVS greeting card, and sharing some of these rice krispie treats with them. Let cool, cut into squares and get ready to make new friends. Makes 16 2-inch squares or 32 1- x 2-inch small bars.